About a year ago, we announced our most ambitious mission so far: aSpIrM, our as-if SpaceX Iridium Mission that aimed at emulating the then remaining four launches of IridiumNEXT satellites with our humble means. We can now report: mission completed! The initial intention was to up our tech game with every launch, but we took a different path for the final aSpIrM mission: What was truly at our heart was to 🎶 celebrate 🎶Iridium’s amazing achievements with a daring installation 🎶 in the sky 🎶. No rockets involved this time, since we wanted to reference the result, not last step in the process (we hope this sentence made us look extremely clever). 66 satellites orbiting our planet in six planes, Earth floating in space, saying goodbye (this is so hard!) to the awesome Block 1 satellites that have been giving us the beautiful 🌟 Iridium Flares 🌟 for so many years while giving the whole flock of NEXT satellites a warm welcome: putting this into a compelling image was our mission goal for the final part of aSpIrM. 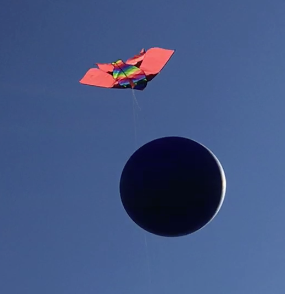 Letting a huge helium-filled balloon equipped with satellites hover in the sky. It turned out that the logistics and the handling of the amount of 🎶 helium 🎶 required would not be feasible. Coming up with alternative options like hanging or dropping the balloon off a tower, a crane or an airplane. What whaaaat? Don’t pull such a face! You need to think big! 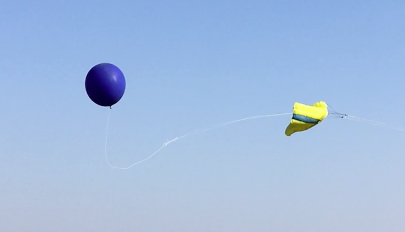 Lifting the balloon with a 🎶 kite 🎶: This was the first option that led to some initial testing for proof of concept. 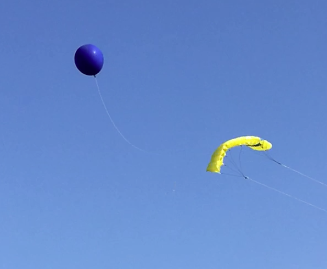 The tests went well and led to the conclusion that gradually hoisting the balloon via a mechanical redirect once the kite has been stabilized in the air might be the better option than lifting them both simultaneously. Although the balloons we field-tested were surprisingly resilient, further handling proved the contrary: Balloons popped repeatedly (and their big 🎶 bang 🎶 gave us an embarrassing tinnitus), even without being touched or manipulated. The concept was dropped for being too risky in implementation (attachment of satellites, transport, temperature differentials, rough territory etc.). A further no-go was that all the balloons tested were not really globes, but too obviously pear-shaped. Looking for other materials that would make for a great 🎶 orb 🎶, are very low-weight as well as low-cost and allow for all the manipulations that would need to be done. This was probably our lowest point – there were moments when we thought we had run into 🎶 mission impossible 🎶, since we had to drop so many options due to violation of one of the ground rules. We ended up with a 🎶 gym ball 🎶 which we called “Weight And See”. It is made of some foamy synthetic material and lighter than its ordinary colleagues. Not our preferred option, but by far the best compromise that stuck its head out. 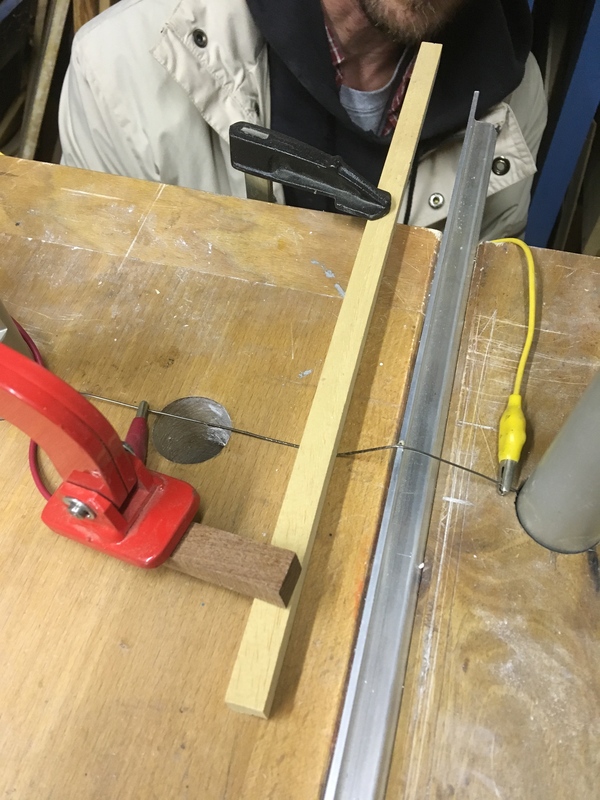 Finding the right material, production as well as attachment method for the satellites. We started off with matchboxes as a basic idea as well as a reference for size. 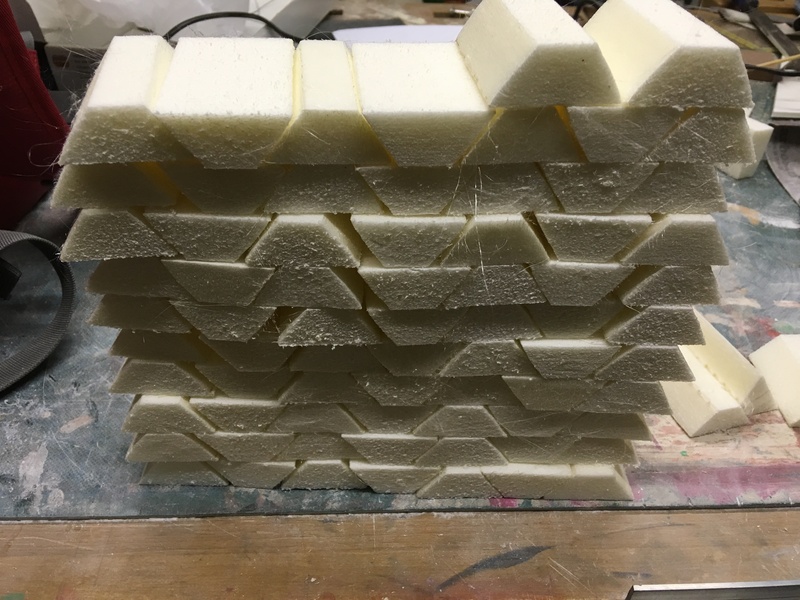 The next step was profile styrofoam that could give us the prismatic shape of the NEXT satellites. We ended up with polystyrene hard foam insulation material that we cut into shape ourselves using an 🎶 electrically 🎶 heated wire. The sats were wrapped in a highly reflective foil in the hope that they would flare in the sky as a #flarewell to the Block 1 constellation. Another quest for materials evolved around attaching the satellites to the orb. 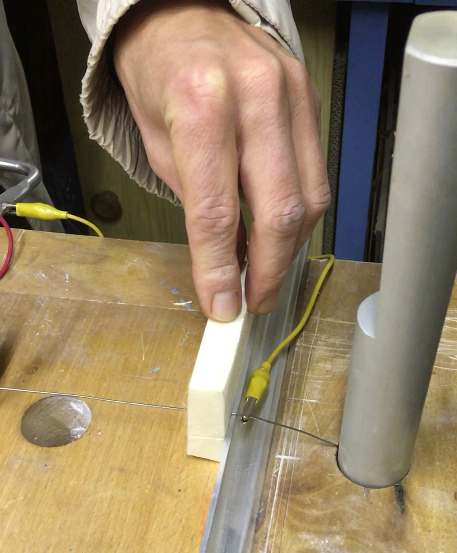 It showed very 🎶 sensitive 🎶reactions to the various adhesives: They either did not stick at all or decomposed the orb or were not reliable under various temperatures. 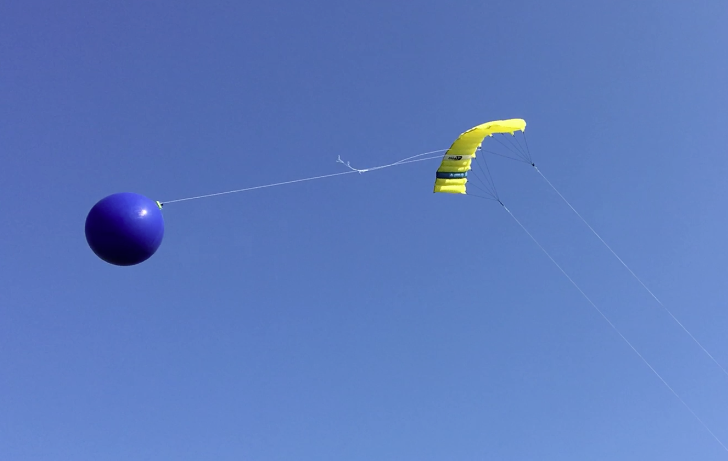 And last but not least the kite itself: We experimented with traditional one-liners, adapted one-liners, two- and four-liners, following the increase in weight that happened over the different stages of the mission. 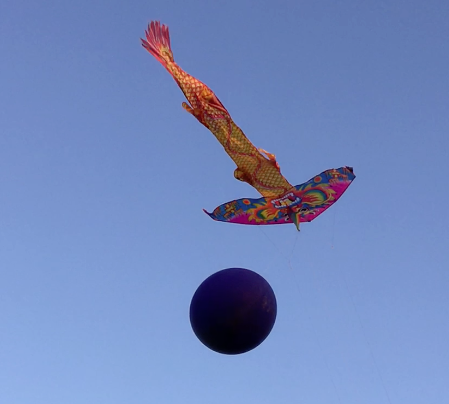 Our final choice was Drag Queen, a huge four-line traction kite of app. 3 sqm. And last last: Even though we had everything ready, we were at the mercy of the 🎶 weather 🎶. Unusually low temperatures kept us cozied up indoors, the warmer days were either rainy or without wind. We finally took a shot at a one-day window with strong winds and 🎶 spring-like 🎶 temperatures. The winds proved very 🎶 wild 🎶 though. They were very choppy, but not consistently blowing. 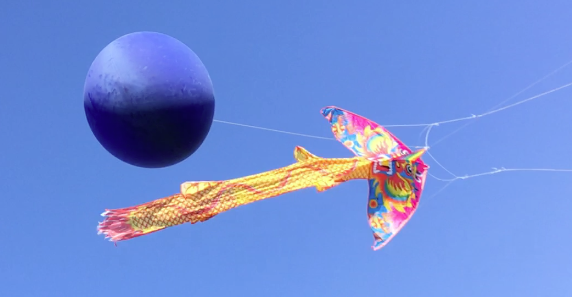 The kite had to be moved around all the time due to the lack of winds between chops. 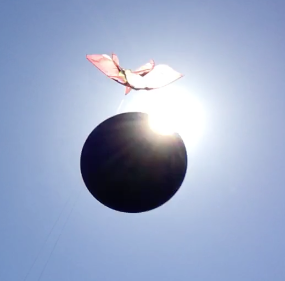 Therefore it was nearly impossible to stabilize the installation in the sky. 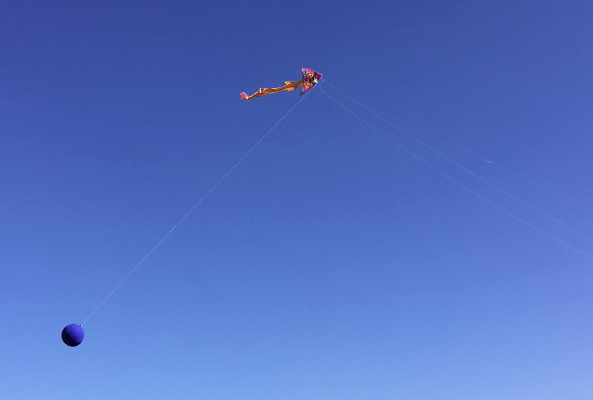 What’s more, the traction kite is not built for gaining a lot of altitude, which made circumstances even more challenging. But hey, OxidanSky is all about challenges and having fun while 🎶 mastering 🎶 them, right? And so we did. What a 🎶 joy 🎶 to finally see our allegory of IridiumNEXT 🎶 dancing in the sky 🎶 so merrily! Previous Post The future of OxidanSky?